Oh my goodness, I'm speechless! 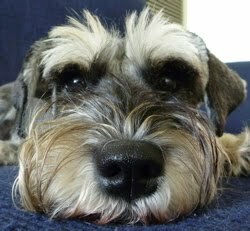 I've won Readers' Choice for the Cracker Dog Insane Terrier group in Mango Minster 2010! I'd like to start by thanking myself my human, for her constant carelessness in leaving things around for me to practice on love and support, myself the relentlessly wonderful Mango, for creating such a great competition, and myself all you lovely Readers out there, for having the good taste generosity to vote for me! I'd also like to thank Fergie, Gretchen and Jazzi for providing me with such stiff competition! Hi Sasha - we're not surprised really. We know you're crackers - erm, we mean - beautiful so it was inevitable that others out there did too! 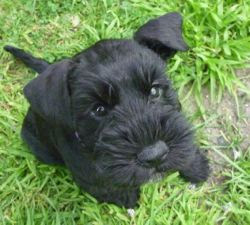 Hmmm - we're wondering if we should feel threatened by all those other pups out there who obvsiously adore you too. We feel obliged to let them know that you're OUR sweetheart SO THERE! He he he! 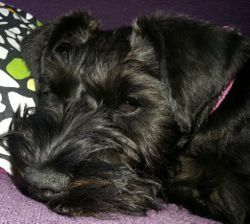 Sasha - you're a winner and you're flying the flag for us schnauzers - congratulations! Congratulations, Sasha!! 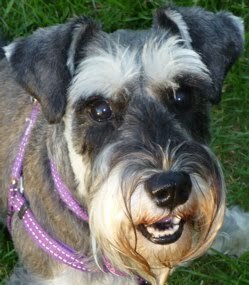 You sure did us schnauzers proud! A title worthy of the beautiful and talented Sasha!